Traditional vs. self-publishing | So what? Now what? There was a time, not so long ago, if you’d written a book that you wanted to share with readers, you had one option—query agents, survive countless rejections, finally hook one; then wait for the agent to try selling your manuscript to publishers, survive more rejections, and with any luck, finally sign a contract. At least that’s what I hear. So far I haven’t gotten past the survive countless rejections part. In today’s world, there is another option—self-publishing. You write, edit, design, and publish the book yourself, using the many online tools that are now available to you. Then you market the book—again by yourself. You skip the rejection part, but you also skip the professional support part. So which option is best for you? I’ve recently been asking myself that question. Here’s what I’ve learned so far. You want to see your book in print now. If your book is time-sensitive, you may want to self-publish. Traditional publishing can—and usually does—take years. In my case, I have written a book based on my mother’s life. My mother is 80 years old. I hope she has many years left on this earth, but if I want to ensure she sees the book in print, there’s not a lot of time to waste. On the other hand, she has read the manuscript, which means she has, in essence, read the book. It’s not essential that I publish for her. If my goal is to share her amazing story with others, that story is timeless and doesn’t require a rush to publishing. Your book appeals to a limited audience to which you have, or can gain, access. Remember, with self-publishing, you are in charge of not just publishing, but marketing the book as well. With a self-published book, you are unlikely to get on the shelves of Barnes & Noble or other large bookstores across the country. However, if your goal is to get your book in the hands of a targeted group of people that you can reasonably gain access to, self-publishing may be for you. In my case, having this book for my family, friends, and fellow bloggers would be nice. Sharing it with a larger audience would be better. You are an entrepreneur with the marketing skills and money to create and sell your book. Self-publishing is not an inexpensive task. I mentioned earlier that there are services available to help you edit, design, and publish your book. Those services aren’t cheap. Then you have to purchase the books and re-sell them yourself. Do you have the marketing skills and the tenacity to do that? In my case, I do have some funds available—not an endless supply, but hopefully enough to create a respectable product. I’m a professional communicator, so I could likely do some basic design work. I say likely, because designing book covers or laying out books isn’t something I’ve done before. Beyond that, I am definitely not a sales person. I can envision boxes of books languishing in my basement unread. You want to guarantee publication. Maybe the only thing sadder than boxes of books languishing in my basement is never creating the book at all. No matter how much time you have for publication, or how patient you are, you cannot guarantee that an agent, and then a publisher, will buy your book. Self-publishing is a guarantee that your book will go to print. Of course, you’re not committed to your initial decision for eternity. if you initially choose to seek traditional publication, and you aren’t getting any bites, there’s nothing to say you can’t change your mind down the road. In my case, I could decide to query 100 agents or try for one year, and then, if no one picks up my book, self-publish. You want to retain full creative control. This is a big one. As I understand it, once you sign a contract with a publisher, the book is no longer yours alone. You basically sign the rights over to the publisher, and an editor will ask you to make changes to your beloved story. In my case, that is definitely a consideration, but I also presume, by that point in time, the editor wants my book to be successful almost as much as I do, and said editor has more experience than I do. Perhaps I’m naive, but I like to think working together, we would make the book even better. 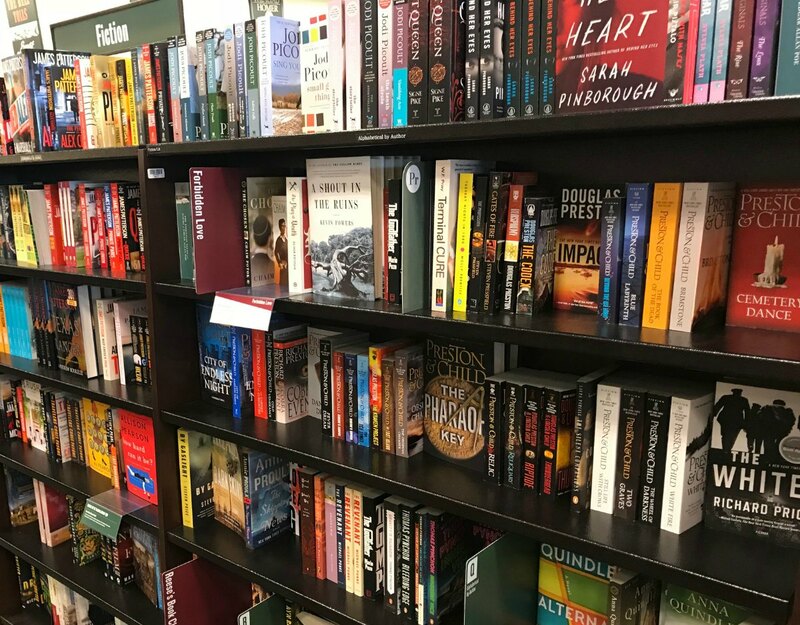 You want to see your book on the shelves of stores across the country—or around the world! As mentioned under Self-publishing #1, unless you are already famous, or have key contacts in the business, this will be a tough sell if you don’t have the support of an agent and publishing house. In my case, the more people I can share my book with, the better. I think it’s a story worth sharing. Why else would I put myself through this? I want my book in front of the public. You want big media recognition. If you want to be on the New York Times Best Sellers list, see a movie made from your book, or make the talk show circuit, chances of that happening with a self-publication are slim—unless again you are already famous, in which case I’m surprised you’re reading this. I should be asking you for advice. In my case, I’d love to have media attention on my book, but it’s not a deal-breaker. You want someone else to finance the publication. With traditional publishing, there are no upfront costs and will likely be an advance on royalties. Chances are you won’t get rich off of your debut book, but at least you won’t go into debt either. In my case, money is not the primary motivator for publication. Would I like to make some spending money, you bet! Would I like to avoid spending more than I make on this project, most definitely. You want the guidance of professionals. If you want an experienced team to work with—if you need editing, design, marketing, or legal guidance, you may benefit from working with a traditional publisher with lots of resources at your disposal. In my case, because my book is based on true life events that I have fictionalized, events about real people with real families, I do have some questions about how to handle names, dates, other identifying features—protecting the innocent and even the not-so-innocent—but mostly protecting myself from them. And then also, as mentioned in Self-publishing #3, I don’t have any book publishing and marketing experience. This book is important to me, and I don’t want to mess up this opportunity to share it with the world. Which brings me to the final argument for traditional publishing. You want validation that the writing is good. How do you know if your book is ready for the world to read? If an agent and a publisher decide to invest in your book, you at least know that someone—someone that cares more about selling books than hurting your feelings—thinks it is ready. In my case, this is my debut novel and my first attempt at fiction. I truly have no idea if I’m any good at it. The last thing I want to do is self-publish a subpar version of the book too soon, ruining the opportunity to publish a better version that is ready for public consumption later. Only you can decide whether traditional or self-publishing is right for you. For me, I’ve decided to devote some time and energy to seeking traditional publishing first. I am not ruling out the possibility of pursuing self-publication down the road, but my intuition and my research both point to the traditional path for now. If you are a published author, I’d love to hear what method of publication you used and what your experience was. If you are currently working on a book, have you considered what form of publication you will pursue? Have I missed any pros or cons for either mode of publication? Really interesting overview (even for someone not thinking about publishing, like me 🙂 ). I think you made the right decision to start with the traditional route, then, if it doesn’t work out after a while, go with self-publishing. Either way, I look forward to reading your book! Hi Christie, I’ve never thought of the two distinctions in publishing but self-publishing would certainly mean more control I would think. Good luck with your book and I’m looking forward to reading it. My school friend, Toni Pike has now written 4 books and 2 self-help books to fulfill a life long dream of becoming an author. I would love to write a book but not sure where to start and you do need to be disciplined don’t you? Thank you for sharing at #MLSTL and have a beautiful day. Sue, I know exactly what you are saying about not knowing where to start. That’s exactly how I felt about starting a novel with absolutely no experience writing fiction. Now I can’t believe that the first draft is finished. I did hire a writing coach (and published author) to guide me early on. It does require discipline for sure, but someone that’s trained for and completed two marathons has discipline in spades! That’s great about your friend, Toni Pike. I admit starting another book right now just sounds exhausting. But then again I haven’t finished the first one. Thanks, as always, for the encouragement. Enjoy your day! It’s nice to have options, Christie, and it looks like you’ve given both careful considerations. Good luck with your book! Looks like you covered everything. Again, I wish you much success and can’t wait to read it…and hopefully watch it once they make a movie about it, wouldn’t that be awesome? It would be awesome indeed. Thanks Dee! Thank you Donna. The support from my blogging friends has been just wonderful–so energizing! Thank you Deb. It is a good feeling, but I admit it’s a little scary too. The encouragement of friends like you definitely helps. I cannot wait to read it, whichever direction you take. But I think trying for traditional publishing first is a good idea. Christie, I appreciate the summary. I knew many of these pros & cons as I’m also looking towards publication. Interestingly for me it said to go the self-publish route and I’m about to query a few of those avenues to understand pricing. I’ll let you know what I learn! I’ll be very interested to hear what you learn. It’s fun that we are doing this at the same time and so interesting that the same information took us in different directions. Good luck with your book! Good point, Leanne. For ebooks, self-publishing is definitely a viable option. When I’m reading, I still prefer the feel and smell of a new book in my hands, but there are times when I opt for online books, especially if I’m traveling and expect to need more than one book or if I want a new book now and can’t (or don’t want to) go out. Thanks again for the #MLSTL community. You know I love it! Christie, I have thought of writing a book though I haven’t taken any steps in that direction. But I had checked out the self-publishing aspect though I truly would love to be known as a world-renowned writer. lol Who knows someday you might say I use to read her blog. Great overview. I am planning on the self-publishing route at this point. I love my Kindle and rarely buy an actual book now. I don’t have the room for them nor the time to visit the library (because who wouldn’t who wouldn’t want to stay for hours?) Between ebooks and audiobooks I’ve got quite a nice collection with no extra space being taken! There are some definite pros to self-publishing, especially when it comes to ebooks. I’ll be watching for yours. I have my story written on my website with most chapters password protected for just family. I’ve thought about self-publishing and have a friend who has self-published four YA books through Amazon ~ CreateSpace which has now linked with Kindle Direct Publishing (KDP). I’ve already had two Blogger to Print books made; one of my trip to the Middle East and one of my AtoZ Challenge ‘Lessons Learned. They turned out pretty good and not expensive. Very interesting post! Thank you and I’ll share on FB and Twitter. Thanks for sharing your experience, Mary Lou. There are so many options available now, which is great. You just have to figure out which one is best for you and your book. You make a good point, Molly, that even with traditional publishing the author has to be actively involved in promoting the book and gets to keep all of the money. Congratulations on getting three books published in a year. That’s quite an accomplishment. Thanks for the summary of publishing choices. I particularly liked this sentence, “Maybe the only thing sadder than boxes of books languishing in my basement is never creating the book at all.” So true. Thanks. You’re welcome Terri. I’m glad you enjoyed it. I know several authors who went the self publish route first to build up an audience so when they queried the print publishers, they could prove they were worth the investment. Now they are writing for the big name publishers. That’s great, Lee. There are so many ways to go about publishing your work. I used to think self-publishing wasn’t for me. Now I am at least open to that option. Very interesting Christie. I was reading yesterday that the author of 50 Shades of Gray, was totally rejected by the traditional method. She must have self-published and took it to social media and did her own marketing. She sold so many copies that the traditional guys soon came knocking with their chequebook in hand. Like you say, you can always change your mind, either way. It sounds like you are heading in the right direction and I admire your drive. We will feature your post and you may get some more feedback. Thank you Kathleen. I had heard that 50 Shades of Gray was self-published. That book took off like crazy. I used to think self-publishing was not for me. I still want to try the traditional route first, but at least I am open to all options now. Thank you also for the feature on The Blogger’s Pit Stop. I appreciate the honor and the exposure. Good thoughts on the different options available and the pros and cons of each. I have many friends that call themselves hybrids – they have books in both camps. I’m starting to hear more from people that have used both traditional and self-publishing. It’s good to have options, huh? Thanks for joining the conversation, Trisha. Thanks for this very interesting article, Christie. I thought that perhaps someday I’d like to self-publish a family history memoir for my grandchildren as a keepsake for them. That sounds like a lovely idea, Pat. And from what I read, family history memoirs are a great fit for self-publishing. Thank you Dee. I really appreciate the effort you put into #BloggingGrandmothersLinkParty. As the mother, wife and friend of several traditionally-published authors, one thing I’ve observed is this: you can get an agent, agent can find a publisher, you can sign a contract, you can get your book published–but that doesn’t mean the publisher will help with marketing. In the end,building a market for the book–whether self-published or traditionally published–is up to you. and it is a lot of work no matter who publishes it. Unless lightning strikes. and that happens too. Thank you for sharing your real-life experience with publishing. I’ve heard from a few people now that marketing is primarily up to the author whichever route you take. That’s important information to have. Yes, marketing is key! I work with a Hybrid Publisher now. I’d be happy to share more information about their programs, if anyone is interested. Hi Christie! This is a great post. I’m actually a writer who has also worked in the publishing industry for over 10 years. I’ve recently been drafted by a Hybrid Publisher as an acquisition editor. Hybrid programs are sort of the middle ground between traditional and self-publishing. Something to consider for writers who want assistance in getting their work noticed. Thank you for this interesting topic. I subscribed to your blog. Have a great week. Thanks for the information Louise. I hadn’t considered that option, but will check it out. I’ve been looking into this a lot. I have decided to go the self-publishing route. From everything I’ve read recently, the biggest reason for me to go the traditional route is because of marketing, but of late traditional traditional publishers rely on the author to do the bulk of the marketing. The days of book tours where you are paid to travel and attend are largely over unless you are a big name. There is also the cost factor- most people do not ever make up their advance, so that is there income. With self publishing, you keep much more of the income. Also, with print on demand and Amazon market you no longer need to have boxes of books in the basement! Good luck to you with your book. Thank you for joining the discussion. You are not alone in coming to the decision that traditional publishing doesn’t offer all the benefits it used to and that self-publishing is not as difficult as it once was. Though I have tentatively decided to attempt traditional publishing first, I am staying open to all options at this point. Good luck with your book as well!